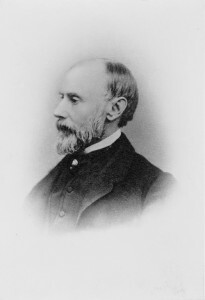 Sydney Howard Gay was the editor of the weekly abolitionist publication, the National Anti-Slavery Standard and a key operative in the underground railroad in New York City. Over two years, he meticulously recorded the arrival of fugitive slaves at his office in two volumes he called The Record of Fugitives, which is included in the Gay Papers at the Rare Books and Manuscript Library of Columbia University. An accomplished journalist, Gay interviewed over two hundred men, women, and children and recorded the stories of well-known and lesser-known, yet instrumental, fugitives, including Harriet Tubman. More than half of the fugitives arrived by train via Philadelphia, and also appear in a similar set of records maintained there by the black abolitionist William Still. The Omeka site, Sydney Howard Gay’s Record of Fugitives, reproduces the recently rediscovered Record of Fugitives, both in high-resolution images of all of its pages and in a searchable transcript. It also includes documentation about 172 individual slaves, compiled by Professor Eric Foner, that summarizes the information noted by Gay and William Still combined with data from other sources. The Still records enabled the historian to check the consistency of the runaways’ stories. Dr. Foner initiated this project in conjunction with the publication of his book, Gateway to Freedom: The Hidden History of the Underground Railroad (W. W. Norton and Co., 2015). He had a transcription of the journal done by graduate students. The Digital Imaging Lab in the Preservation & Digital Conversion Division carried out digital photography of the journals.. Terry Catapano and Robbie Blitz, in consultation with Foner and RBML Curator Thai Jones, faciliated the creation and design of this exhibition, and Foner provided the text for the exhibition homepage. 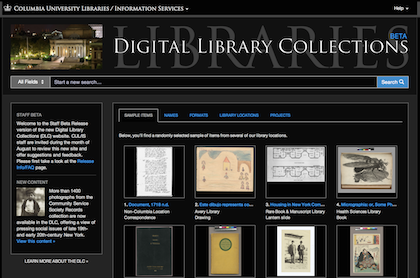 Using our Omeka exhibition platform, Robbie Blitz put each digitized journal page up along with its transcription. 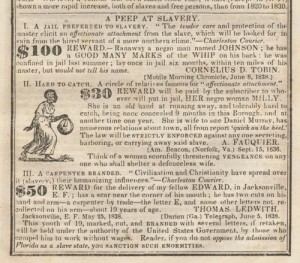 Individual pages were also created for each fugitive that Dr. Foner identified, including the name of the fugitive, information about their former owners, census information, who they escaped with and where they went (when available), and what they did after gaining their freedom. We also provide downloadable PDFs of both volumes of the journal in their entireties as well as a PDF of the transcription, and our programmer, Fred Duby, installed a special Omeka PDF viewer that will now be able to be used for other projects. We have also actively worked to open this exhibition up to a broader audience beyond Columbia. Catapano created a Wikipedia entry for Sydney Howard Gay (none existed) and included links to Dr. Foner’s books, to the archive of the National Anti-Slavery Standard (Gay’s abolitionist newspaper), and to our exhibition. He uploaded the digital facsimile of the two-volume journal to the Internet Archive and WikiSource. For a full analysis of the Record of Fugitives, as well as a history of the Underground Railroad in New York City and the northeastern metropolitan corridor, see Eric Foner’s book Gateway to Freedom: The Hidden History of the Underground Railroad (W. W. Norton and Co., 2015). This entry was posted in Omeka Support & Exhibitions, Uncategorized on July 24, 2015 by Candice.